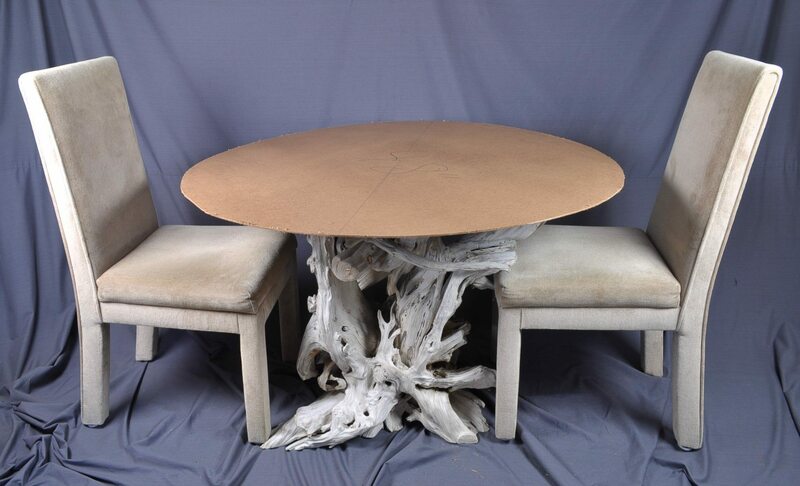 Even though I’ve created a few driftwood dining tables in the past, it’s only been in the last 4-5 years that I’ve been commissioned to make them on a regular basis. 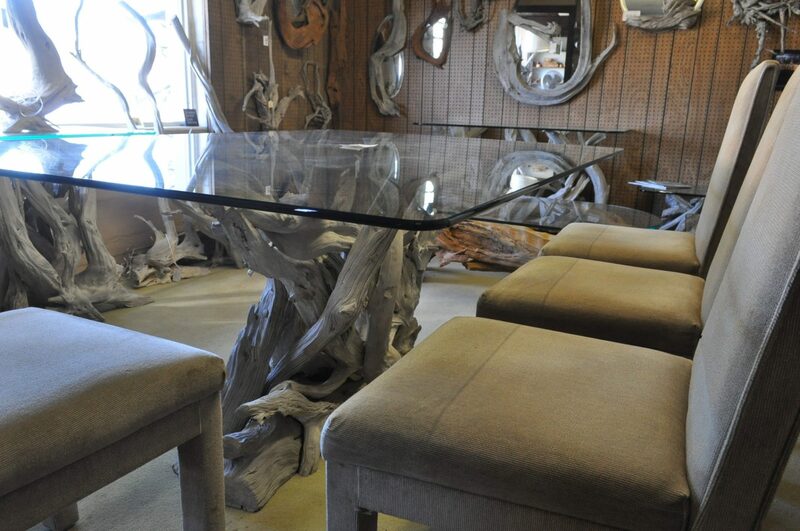 Unlike a coffee table or even a tall foyer table, dining table bases present a special challenge. They have to be stable enough to support a large glass which means they need to have a sufficient footprint. And at the same time there needs to be enough room for a persons feet & knees. In addition there needs to be enough room so that the chairs will fit under the glass when not in use. 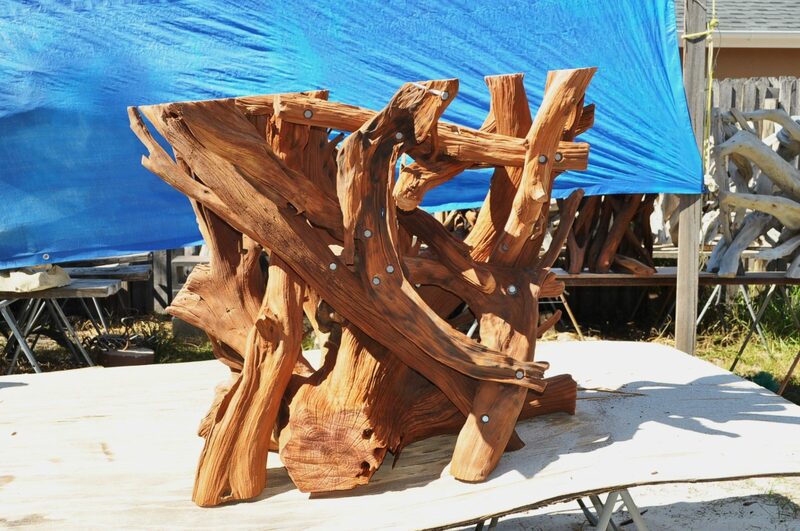 It’s only a few select stumps that will work for a dining table base. 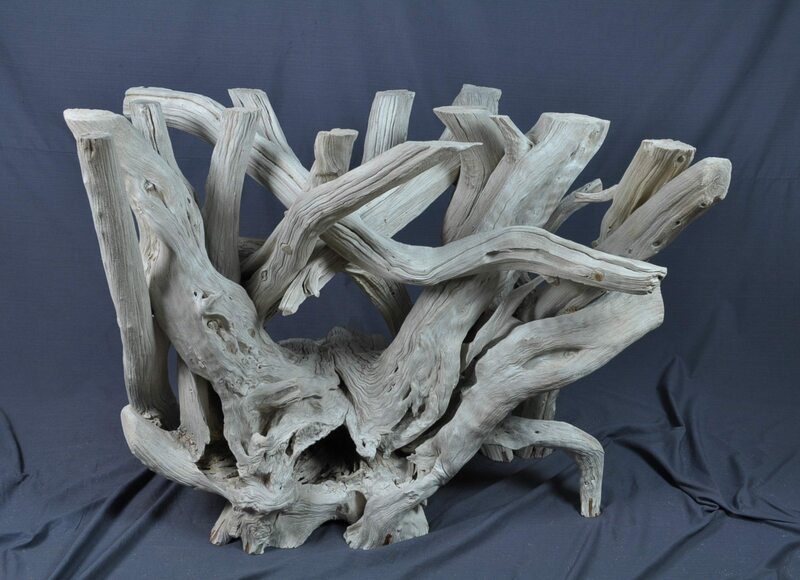 When turned on its side the base has to be bottom heavy and the roots have to extend upwards at least 30″. Dining room table base leveled and ready for sandblasting. 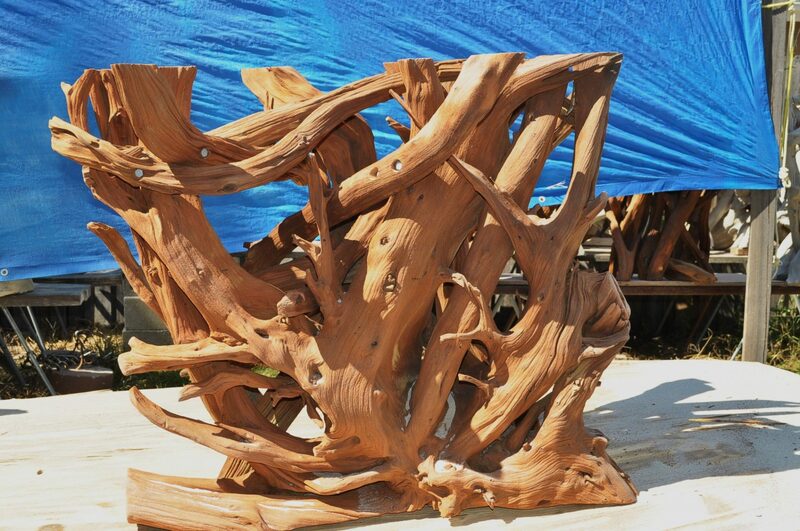 Once additional support pieces are added, the structurally completed stump is leveled & sandblasted. 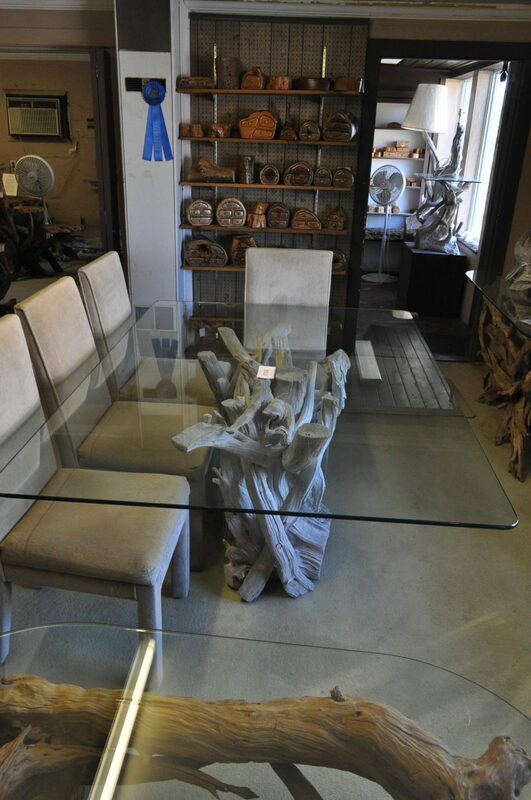 At that point a large test glass is placed on the table & tested for both floor & glass stability. Also a glass template is cut to demonstrate the size of the glass & how it would look on a perspective table. The finished table will have 2 distinct sides. 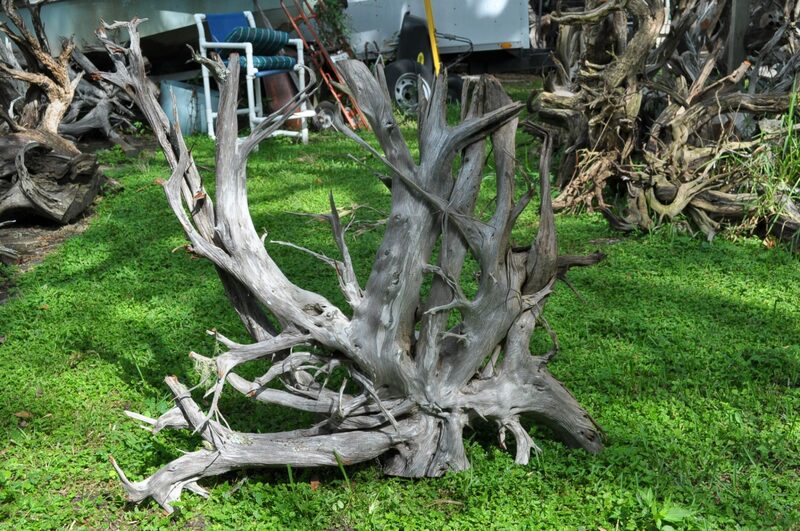 The root system side (considered to be the most aesthetic) & the trunk side. 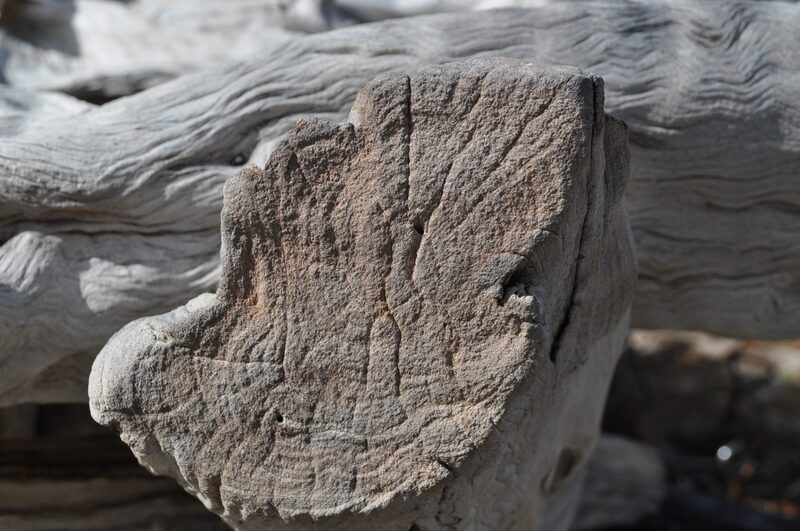 All the cut ends are textured & have a very weathered appearance rather than appearing fresh cut. For stability purposes I highly recommend it would be used on a hard floor. On rectangle tables the length is not usually an issue. As much as is feasible, make the glass as wide as possible. This allows for more feet & chair room. 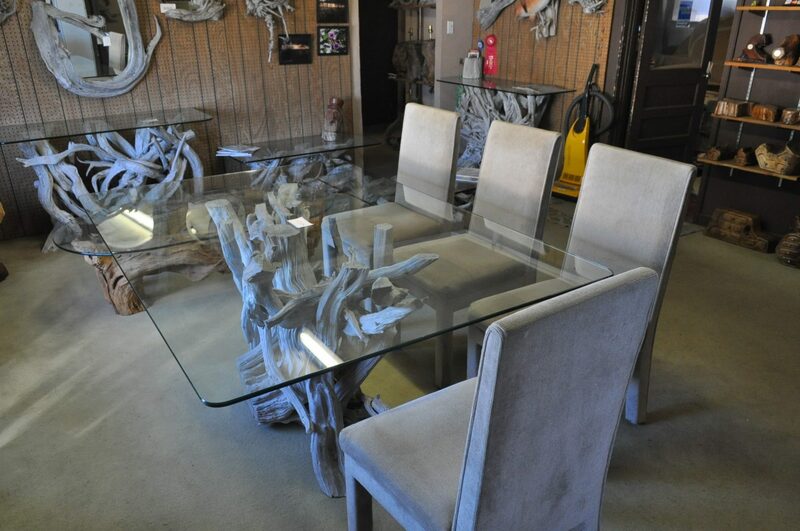 Unlike most conventional dining tables there will not be as much room for a persons feet & the chairs will most likely not fit completely under the glass when not in use. Dining room table with chairs not in use. 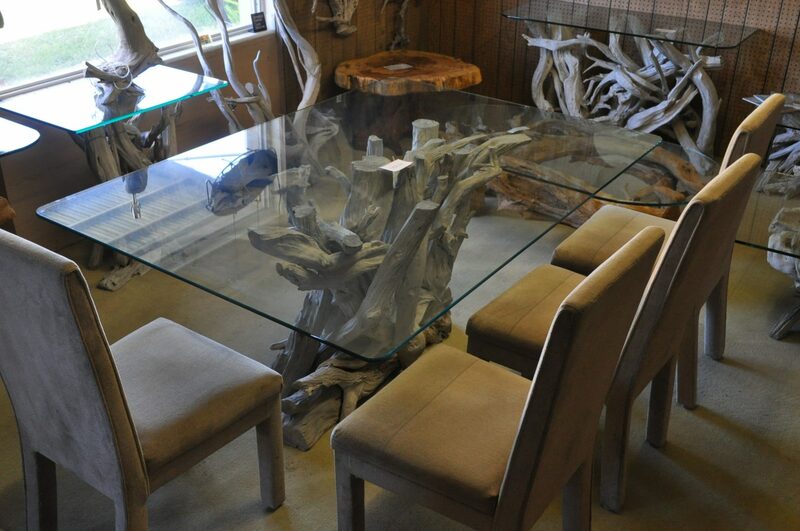 Completion time can vary according to the type of finish & the availability of dining table bases. 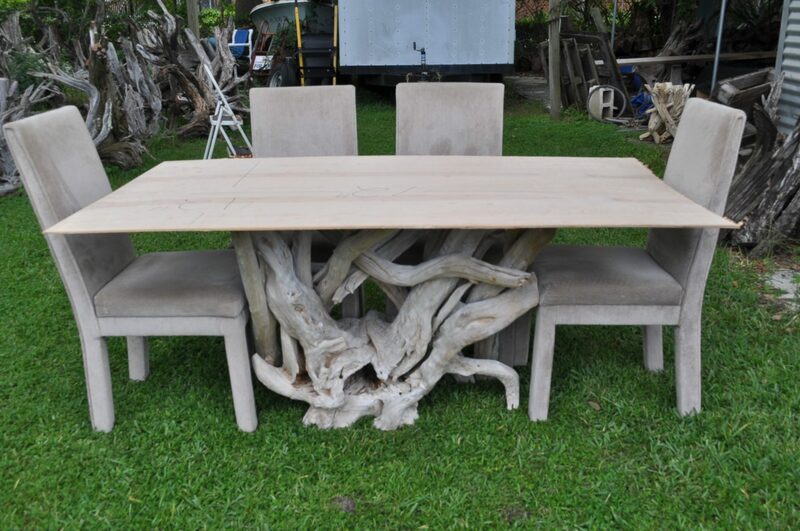 The weathered, sun bleached tables will take months depending on the time of year. For out of state customers, I recommend obtaining the glass from GlasstopsDirect. For my customers in Florida, I have found that I’m usually able to personally deliver the table & glass for less than what it would cost to crate & ship it. I’ve got a few in mind….shouldn’t be long. Great insight into how these unique pieces are made! 3 Pings/Trackbacks for "Driftwood Dining Table"